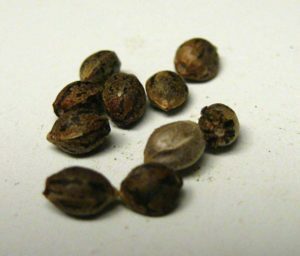 Finding Seeds in Good Weed… What? What does it mean to find seeds in your marijuana buds? Is it something to be worried about? There’s a seed in my bud! Seeds are the result of pollination. That means the seedy cannabis buds (which come from a female plant) may have come into contact with pollen from a male plant. Therefore, it’s possible the grower didn’t identify and remove all the male plants before the released pollen. It’s also possible that the plant self-pollinated (sometimes called herming) which is often the result of plant stress during the budding phase but can also be caused by genetics. Does it mean the weed is bad? If it’s very seedy the buds may not feel as potent, though a few seeds here and there won’t make much difference in potency. The main problem with seedy weed is that you are getting less smokeable bud for the amount of total mass there. If it is seedless, you will get a lot more bang for your buck. 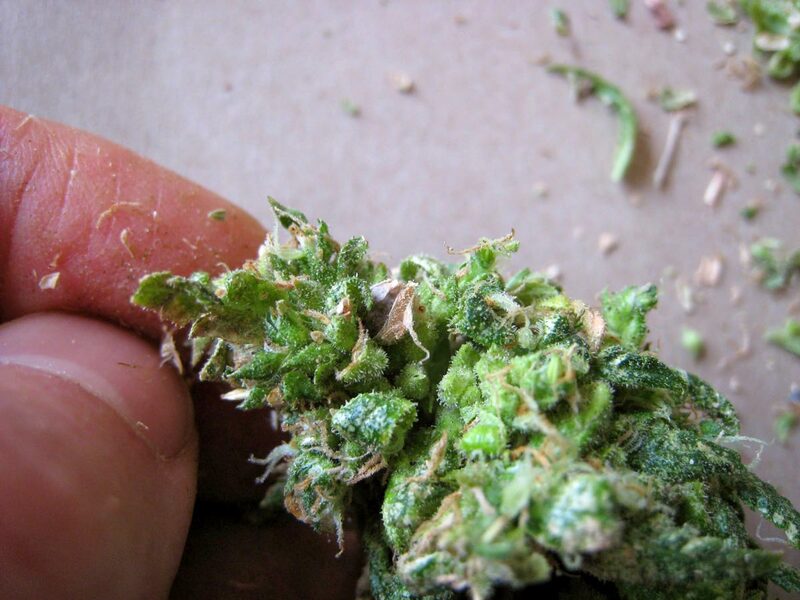 Seedless bud (sinsemilla) is considered to be the highest quality and most potent type of weed. Are seeds good to grow? I’ve seen some growers get impressive results with bagseed, but overall results seem to be hit or miss. Plants can grow in odd ways and often either the yields or quality isn’t as expected. The problem is that seeds often don’t “breed true” to the buds that they came from. That is why many growers either stick to clones (which are exactly the same as the “mother” plant) or purchase seeds of a stabilized strain from a trustworthy breeder, where each of the plants will grow the way you expect, and buds more consistently have the smell, yield and potency they’re supposed to. How can I tell if it’s a viable seed? It should be dark and relatively hard. Very pale or white seeds, that can be easily crushed between the fingers, usually won’t sprout. However, I have been surprised to find some very flimsy seeds sprout and produce amazing plants (we aren’t breeding them for hard seeds after all) so when in doubt, I highly recommend doing the true test to see if the seed is viable – try to germinate the seed and see if it sprouts! These are all viable seeds. Every one grew into a healthy plant!